Kim Jong-gil passed away in 2017 at the age of 92. He was professor emeritus at the Korea University English literature department, and in the 1990s we met and discussed translation of poetry from Korean into English. He encouraged me to translate not only the message, but also rhythm. It was not an easy task. He gently persuaded me to try harder. He was my senior. I still remember all his words vividly. He translated the traditional Korean sijo poems into English and published a volume of his translations in “Slow Chrysanthemums: Classical Korean Poems in Chinese,” in London in 1987. He admirably conveyed sijo’s rhythm in his translations. 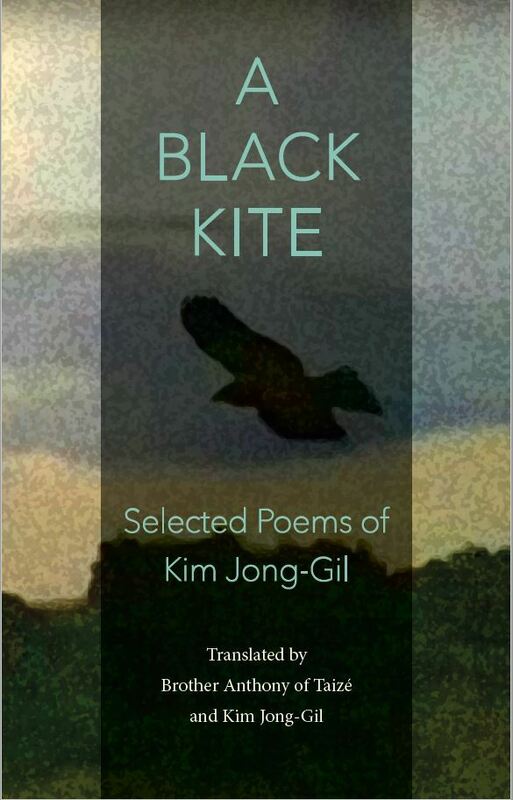 “A Black Kite” has 50-some poems selected from the poet’s career. He and Brother Anthony, a translator of the Taize communite, must have chosen these poems together from his three poetry books in Korean. His poems possess elegant simplicity and emotional complexity with intellectual power. Most of his poems came from his daily life. His best poems known were “Spring Mud,” “Christmas,” “Lonely Height” and “A Black Kite.” His poems confirm him as a modernist and imagist from his early exposure to traditional sijo poetry. He is a unique product of Andong, North Gyeongsang Province, his hometown and the birthplace of the “Yeongnam School,” starting from Yi Toege to Yoo Sung-ryong, down to Yi Yuksa and many other patriots during the Japanese colonial era. As a matter of fact, he learned the Chinese classics under his great grandfather’s teaching during his early childhood. In a sense, he was the last Confucian modern imagist. He was well educated in Chinese classics before he learned Korean language and literature. “A Black Kite” is a metaphor of his Andong Sunbi culture. Sunbi is not easily translatable into English. Sunbi does not compromise his belief and sense of justice for fame, power and money, negating the factionalism or factional interests over the public or national interest. Yoo Sung-ryong, the prime minister of King Sunjo’s royal court who managed the seven-year Imjin War in the 16th century, was the best example of the Yeongnam School and Sunbi Culture. Andong made an image of Sunbi, and a black kite is a good metaphor of the town. There are many kinds of black kites in this world. The Korean black kite is different from the American one. There are also several different looks of black kites in different states across the US. Was keeping watch over a pitifully fading young life. With the cool hem of young Father’s coat. From time to time snow beat at the back door. I have a feeling that that evening was Christmas Eve. Those welcome memories from the past come dropping down. Are still flowing, melted, in my blood? From this poem, a young father who has collected cornelian cherries for his young son’s Oriental medicine in snowy winter contrasts with a young boy reaching his father’s age who is remembering that night. The poet declared that could be Christmas Eve. “Christmas” shows a good father-son relationship in the Christmas setting. His parents passed away in his early age and he was raised and educated by his grandparents and great-grandparents in old Confucian tradition. “Christmas” to a Confucian scholar may offer a special meaning to all readers in Korea and elsewhere. Many poems in this book were nostalgia for his hometown and temples and mountains in Korea, and cities and people he visited and met in foreign countries. His poems such as “Niagara,” “In Manhattan,” “At Cambridge,” “In Kyoto,” “Suez Canal,” “Miss Hassan,” “To Seamus Heaney,” “Beholding Tai-shan” and “Mediterranean Observations” presented his scholar-poet life. He expanded his friendships to many prominent poets and writers. A couple of poems dedicated to fellow poets Kim Chun-su in intensive care unit and Park Che-sam at his funeral touched hearts of readers with his warm friendship and humanity to fellow poets. Kim translated the two friends’ major poems into English. A great majority of poems in this volume were translated by Brother Anthony. Some were Kim’s own. I cherish my memories of Kim and will long remember him with this poetry book. Dr. Choi Yearn-hong is a poet living in the Washington area. -- Ed.